This week I talk about 5 successes and struggles we've learned from at various art shows. 1 of the 5 things we've learned doing different shows is that you need to gear your art for the venue that you'll be in. 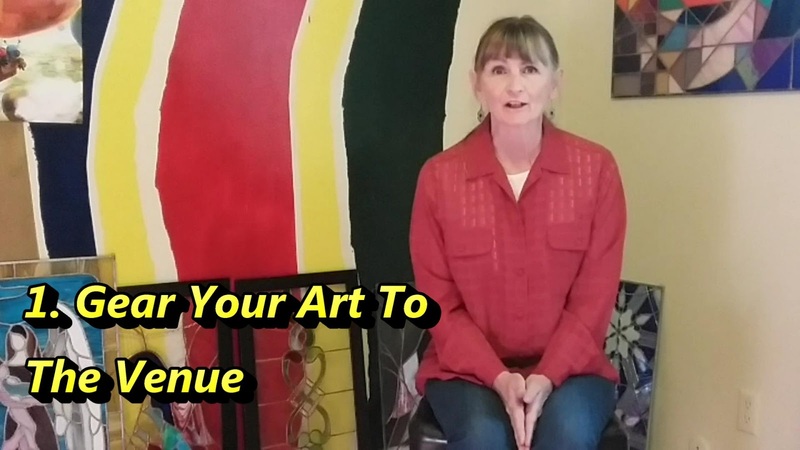 You won't be selling your best and most expensive art at the farmers market, and you probably won't be selling craft fair art at a major gallery. Outdoor markets can take a lot out of you. It's a long day and the weather isn't always perfect. Here are some tips to make the experience a positive one. 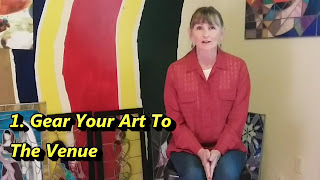 A fellow artist wrote in recently and mentioned a worthwhile tip that I would like to include. He had a client show interest in his work and got a business card. However our artist wished he would have gotten the prospective client's contact information. This would have been helpful in getting in touch after the show. Have a notebook handy to capture names and emails to include in your data base later. Thanks for that reminder.